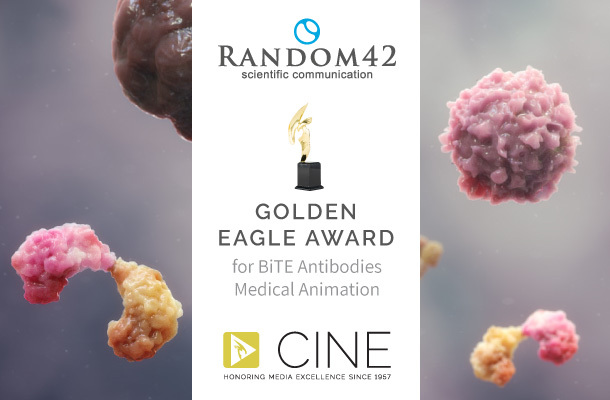 Random42 have been honoured with a CINE Golden Eagle Award for their work in scientific animation. Random42 were selected as a winner of the 61st CINE Golden Eagle Award for Professional Media in the category of Animated Content. CINE (Council on International Non-Theatrical Events) was established in 1957 and honours the creators of exceptional media content, with a distinct mission in an ever-changing media industry. Their vision is to honour and celebrate excellence in media-making through a new set of criteria focused on storytelling, originality, and meeting the needs of the intended audience.For the full list of awards winners please visit the CINE Awards website.